Rattata are found near the start of Pokémon games for a reason: they’re not very good fighters. Eventually, most players cycle out a Rattata on their team for something bigger, better, stronger. Not this particular Pokémon fan, though. Pokémon Challenges is a Twitch channel chronicling one German player’s grueling adventures. Earlier this year, the channel pursued a Rattata solo run on Pokémon Fire Red with a special twist: if the Rattata ever died, that would be it. Game over. No other Pokémon could help Rattata on its quest, nor could a Revive item wake it from its slumber if it ever fainted. If the Rattata wanted to be the best like no one ever was, it would have to defeat the Elite Four completely on its own, and in a single shot. “The Rattata is a wild capture from the beginning of the game [and it has] a good nature,” Pokémon Challenges told me in an email. 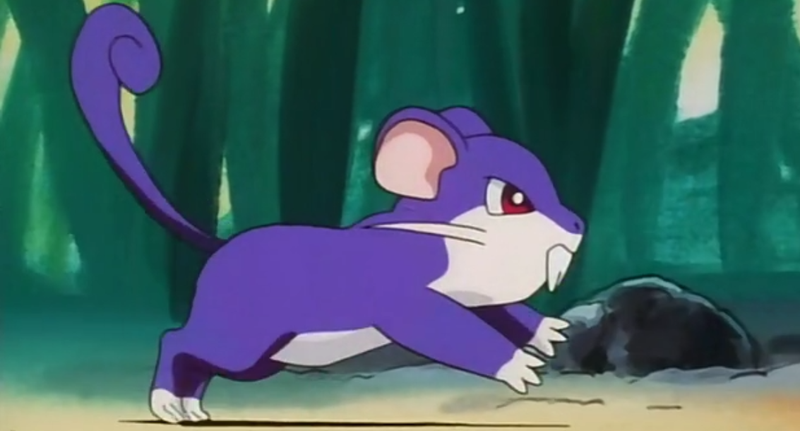 Move-wise, the Rattata carries Return, Iron Tail, Shadow Ball, and Substitute, allowing it to pack a surprising punch. Many Pokémon players end up in a situation where a single Pokémon ends up carrying a team—I know that when I was younger, my starter might as well have been the only real Pokémon I was packing. That said, I still have memories of that strong Pokémon fainting every once in a while, either because I overextended or perhaps because I was challenging the Elite Four. At some point, my weaker Pokémon would always end up chipping in at least a bit. “Both Bruno and Agatha of the Elite Four were incredibly difficult,” Pokémon Challenges said. “Bruno’s Onix will spam Rock tomb, which will lower Rattata’s speed. This means that [Bruno’s] strong fighting types can go first and KO my Rattata with a lucky critical hit. “Agathas Arbok has Screech which sharply lowers Rattatas defense causing it to die instantly to anything. I eventually overcame the difficulties of those battles by running the move substitute, which creates a token that takes hits for your Pokemon and also absorbs the stat lowering,” Pokémon Challenges said. Naturally, I asked Pokémon Challenges if Youngster Joey served as an inspiration for this run, to which he responded, “I mean his Rattata is no longer in the top percent so maybe I’m his idol now?” Heh. Pokémon Challenges plans to continue doing novel runs on his Twitch channel, where he is currently attempting a no-faint solo run of Pokémon Platinum with a Smeargle.